The ultimate goal is to position the Basque energy sector as an international benchmark. 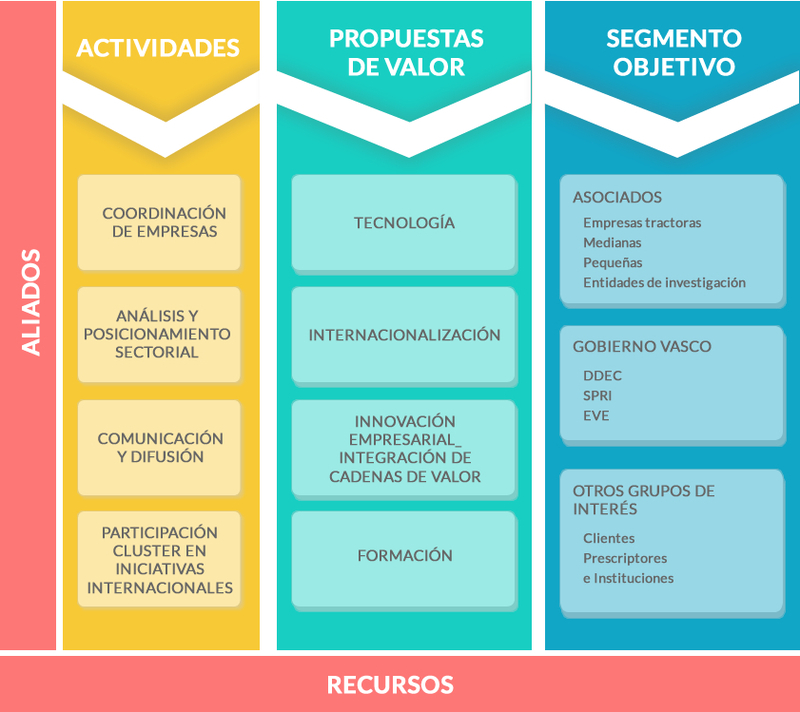 The main objective of the Energy Cluster Strategic Plan 2015-2018 (PECE 2018) is to positionate the Basque Energy Sector as an international benchmark due to the specialisation and competitiveness of its member companies on the basis of the following elements. Means the positionation of the Cluster at the level of activity, representation and resources that a sector of such importance as the Basque energy sector deserves. Presents a value proposal differentiated by associated segments depending on their dimension and driving capacity. Proposes the Cluster as a key instrument in public-private partnerships. It is aligned with the Basque Government's R&D&I policies within the framework of the RIS3 Smart Specialisation Strategy; with the clusters policy guidelines of the Basque Government's Industrialisation Plan 2016; and with the European Union's R&D&I policies (Horizon 2020). Opens new partnership channels with initiatives such as the promotion of demonstration projects, the internationalisation of the Association to foster the internationalisation of its members, the articulation and development of new value chains in emerging or diversification areas.